Showing results by author "Andrew Baggarly"
For 53 years, San Francisco waited. Waited for a team like the 2010 Giants to come along. Waited for a team that could end a title drought that started in New York and carried on for more than five decades after a move to the West Coast. Waited for that one magical postseason run that could unleash more than a half-century of pent-up frustration. At long last, the 2010 Giants hopped on that magic carpet and made it happen. 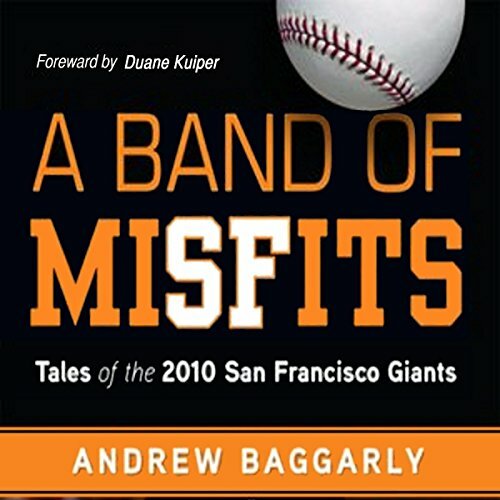 San Jose Mercury News beat reporter Andrew Baggarly captured the 2010 Giants' incredible run through the regular season, playoffs and World Series in his new book.